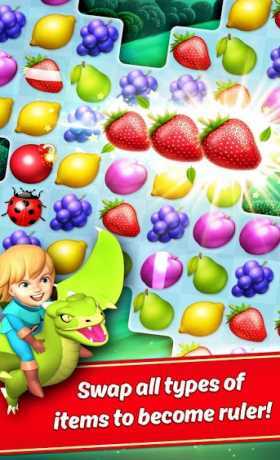 Download Kingcraft – Harvest Blast for free, and swap & combine harvests in this Match 3 puzzle adventure with a twist! 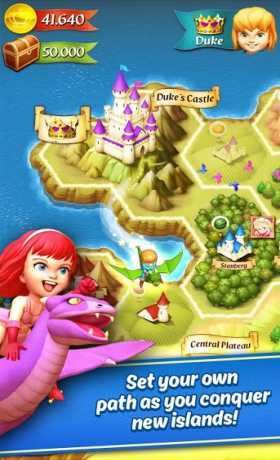 To conquer all the kingdoms and become the king or queen of Kingcraft you’ll have to match crops and jewels and reap your harvest to master this fun and challenging match-3 puzzle game! The better you play, the more gold you WIN, to keep progressing in the game and conquer the crown before your friends! Travel through all the magical worlds and conquer hundreds of puzzle challenges! Compete and play with your friends! ★ CONQUER AND PRODUCE your kingdom however you want, and become a master merchant! ★ CHOOSE YOUR CHARACTER and become king or queen! ★ VISIT THE KINGDOMS of your compatriots and compete against them! ★ USE DIFFERENT RESOURCES, each one has its own value. 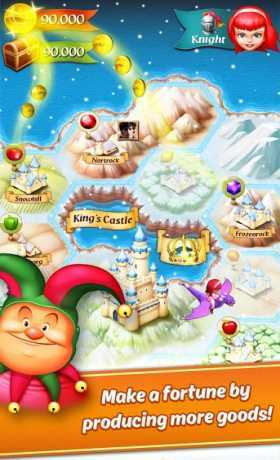 ★ EXPERIENCE diverse scenarios and maps and make the most of your kingdom by obtaining the best score! Don’t let yourself be captured in the castle or you will have to pay for your rescue. Do you accept this puzzle challenge?